You can custom login image and login image url. You can custom text on footer left and right. Please note this plugin may not be compatible with all Wordpress plugins, if you find a plugin which breaks Blue Press please report it as a bug by contact me. 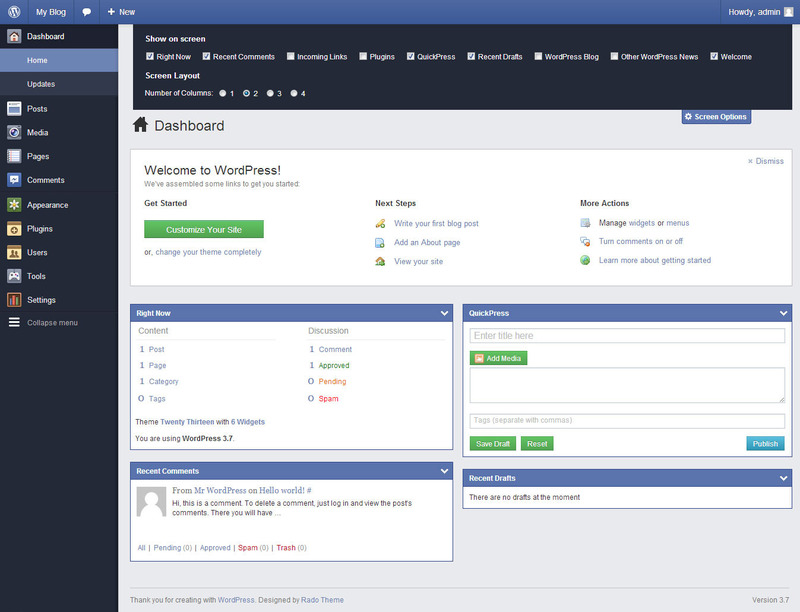 - New feature: Support WordPress 4.0. - New feature: Login image and target url can be custom. 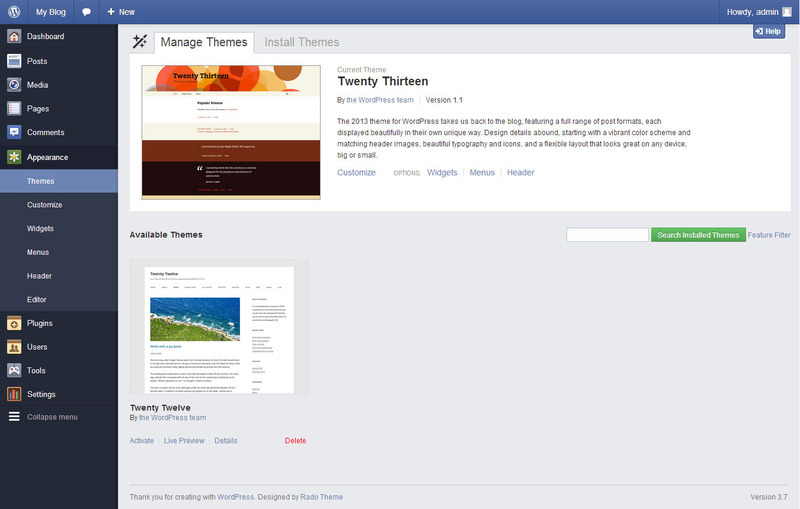 - New feature: Support WordPress 3.8. - Bug Fixed: Fix icon for WordPress version 3.8. 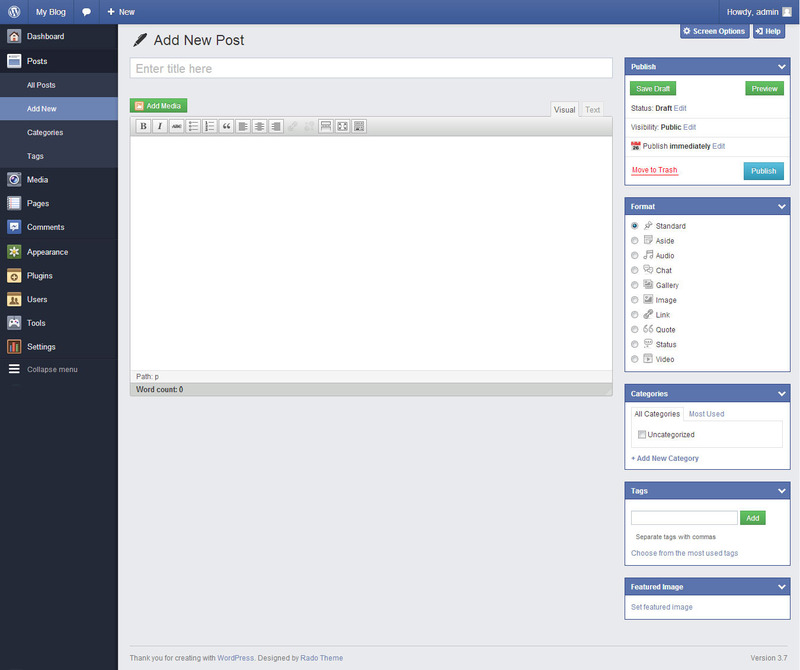 - New feature: Config style with 6 color schemes. - New feature: Custom text on footer left and right. 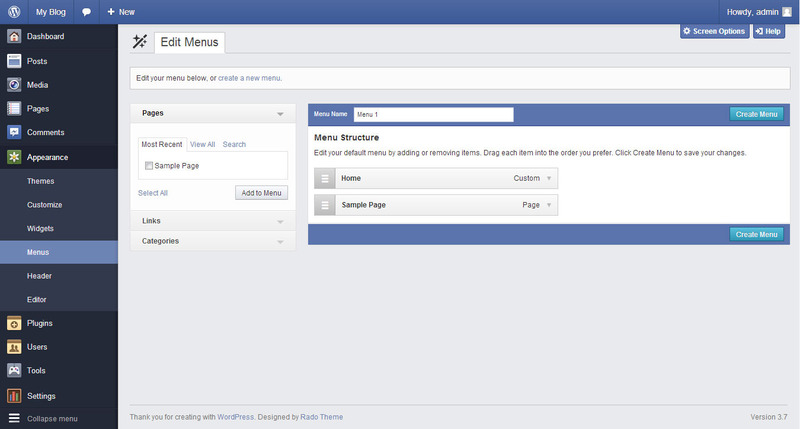 - New feature: Add config plugin into sidebar. - New feature: Accordion menu work with click function instead of hover when display on mobile and tablet. - New feature: Support for WPMU. - Bug fixed: Updated counter on Menu plugin. Updated icon for generic menu and link menu. - Bug fixed: Menu icon of other plugins, sub-menu support for mobile.